It’s been seven years since I fired – or even held – a Desert Eagle. That one was in 50AE, it was big, it was shiny, and it was chrome. I quickly fired off three rounds, each one creating a massive fireball and emitting a concussive blast that made every shooter on the line stop and look to see if a vehicle in the parking lot had exploded. Fast forward to today, and I have the new 429 Desert Eagle in my hands, along with several hundred rounds of ammunition. 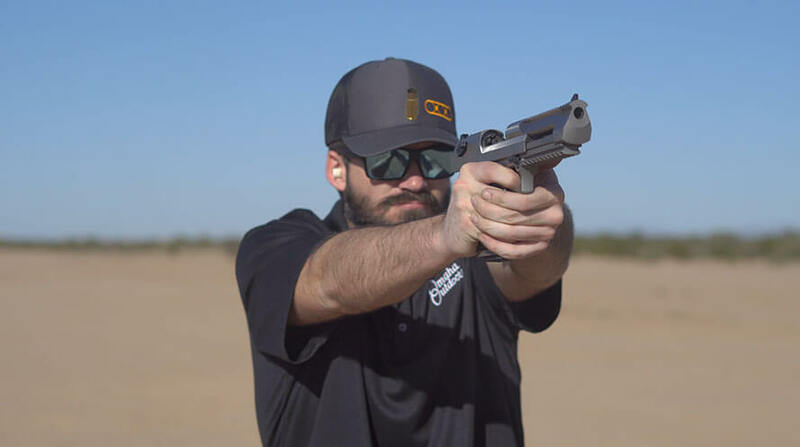 If you’re wondering what the 429 Desert Eagle is, you’re not alone. Most people ask if the pistol is a 50. When I respond “429”, they give me blank looks. Essentially, the 50AE case was necked down to take .429 diameter bullets like those fired from a 44 Magnum. For those whom the 50 is too wide – like those living in states where such diameters are frowned upon, or people who like velocity and penetration over raw size – the 429 seems about perfect, on paper. 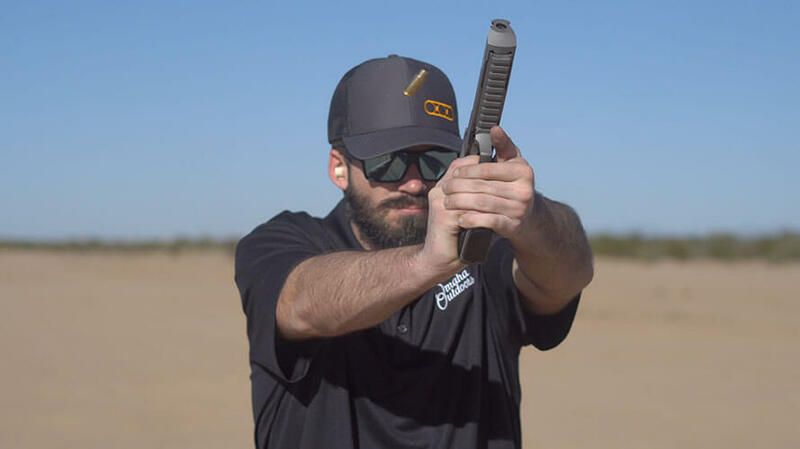 It takes the already potent 44 Magnum and gives it a significant velocity increase, sending 210s out of the 6” barrel at 1750 feet per second, while 240s exit at a paltry 1625fps, according to manufacturer claims. This is a bit off the old numbers for the .440 Cor-Bon that no one remembers, but the results remain impressive. In fact, those numbers are directly comparable to a 44 Magnum from a rifle. 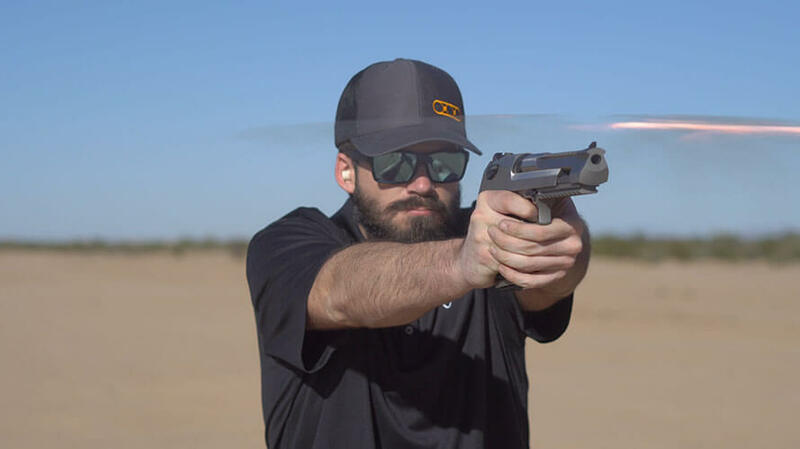 The 429 Desert Eagle is a very serious cartridge. 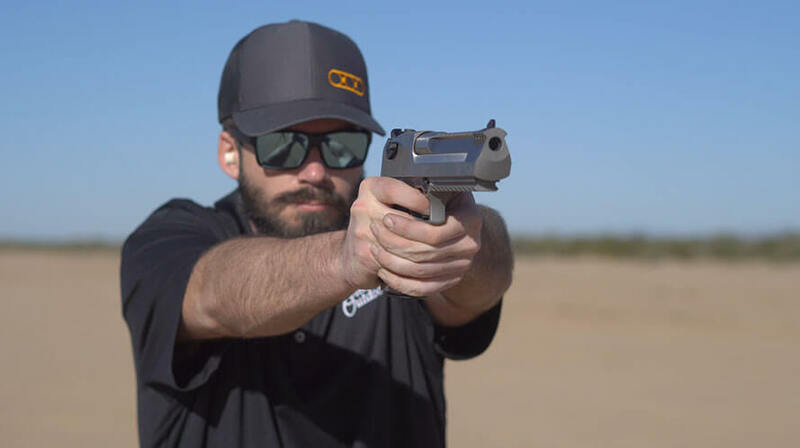 Anything you would want to hunt in the Western Hemisphere could be humanely dispatched with a single well-placed shot from this pistol, and it could serve very well in a backwoods protection role with seven rapidly available shots at your disposal. Yet it’s also effortless to shoot. 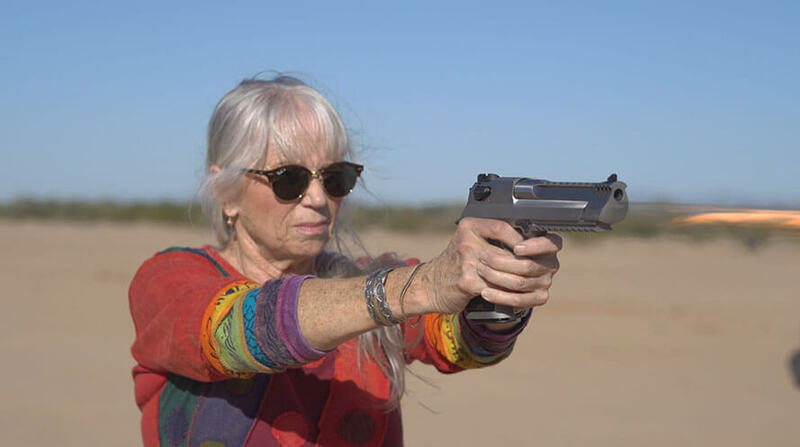 I handed the 429 Desert Eagle off to my mom, and she was able to hit an IPSC steel target at 50 yards with it easily. She fired it in between shooting various Glock 19s, and she told me the Desert Eagle had less recoil than a G19. I’m inclined to agree – largely thanks to the built-in compensator of the 429DE. It takes the considerable amount of gases exiting the muzzle and directs them in a path which significantly reduces recoil and muzzle rise. 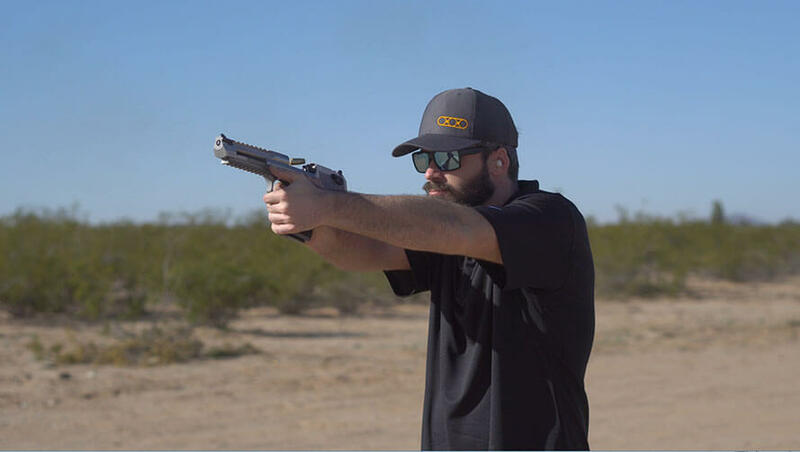 Though it has been seven years since I fired the 50AE Desert Eagle, I recall that pistol having significantly more recoil, leaving me with the impression that three rounds were more than enough for the evening. Last night, though, I fired off 60 rounds from the 429 with nary a whimper from my wrist or hand. Indeed, I was able to mag dump 240s into a paper target at 10 yards as fast as I could pull the trigger and every shot would have been inside the A zone of an IPSC target. In other words, I like the 429DE a lot – when it works. You see, I’ve had a lot of problems with the pistol. That mag dump with 240s? That’s about the only magazine I’ve made it through without a malfunction. I know, I know – limp wristing is a problem with the Desert Eagle. No matter how hard I held the pistol or how stiff I made my wrist and arm, it consistently has issues going into battery with the 210gr JHPs. The slide simply got stuck about ¼” out of battery, and no matter how hard I yanked on the slide, I couldn’t get it to come back. I eventually had to choose between using a mallet to move it back and punching the back of the slide with my fist to force it into battery. The 240s don’t have that problem, which makes me think something is going on with cartridge OAL or case size that’s keeping the 210s from chambering every time. I even handed the pistol off to other shooters who were much bigger and stronger looking than I am, and it malfunctioned when they shot it, too. I did, however, encounter a few premature lock-backs with the 240s. This might have been my hand placement, but I am not convinced of that. I did disassemble and clean the pistol, then thoroughly lubricate it with ALG Very Thin Grease everywhere I thought there might be metal to metal contact, which turned out to be a lot of places. While this provided a significant reduction in malfunctions, it did not eliminate them. Cleaning and lubrication also did not help a rather erratic ejection pattern. Sometimes the cases would be flung five or six feet behind me. Other times, they’d go two feet to the right. Most often, they would fly straight into my face. This is annoying with a 22LR or 9mm, but it borders on dangerous with a case the size and weight of the 429DE. I really, really, really want to like this pistol. If it worked consistently, I would probably have already gone into the local used kidney dealership to pawn off unused body parts for a regular supply of 429DE ammunition, which currently retails at about $2 per shot. As it sits, I don’t know if I should send it back to Magnum Research, contact the ammo manufacturer, or just try loading my own 210s with all the spent cases I now have lying around. 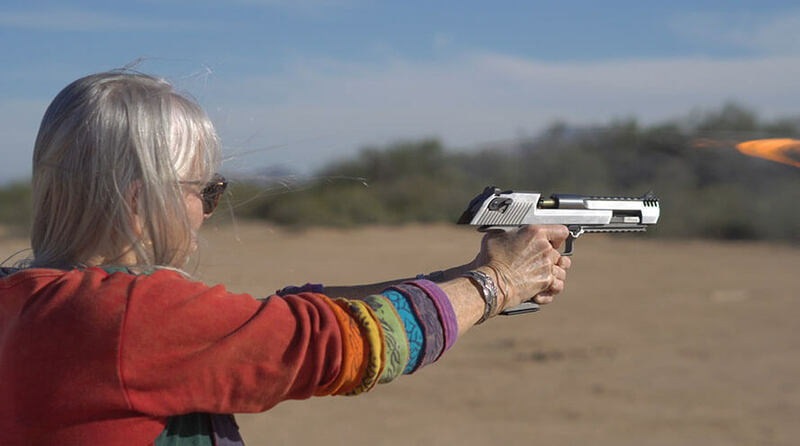 One thing is for sure – if you’re shopping for a Desert Eagle, buy one with a compensated barrel. It makes shooting the thing almost a joy, and it turns a wicked pistol into something I would feel comfortable handing off to just about any shooter. Perhaps that would be with just a single round in the mag at first, but I have no concern about this pistol coming back and hitting anyone in the face unless they let go of it at the moment of ignition. I can’t wait to do more mag dumps – preferably without malfunctions. 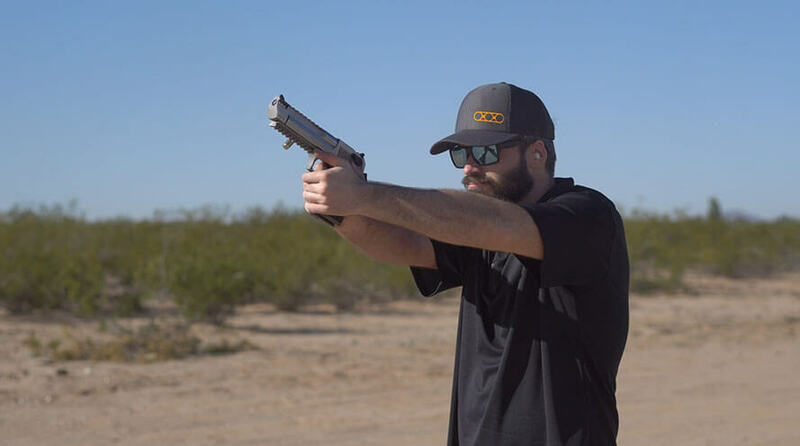 The post First Look: I Like the Desert Eagle 429 Magnum, When It Works appeared first on Omaha Outdoors.